Summary: This heart-wrenching novel explores what it is like to be thrust into an unwanted marriage. 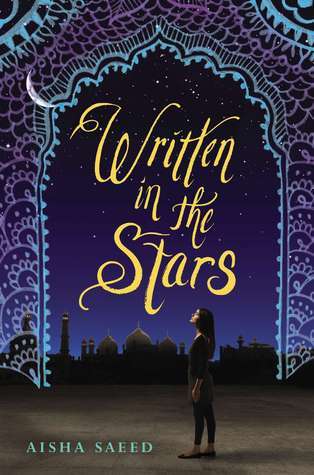 Has Naila’s fate been written in the stars? Or can she still make her own destiny? Naila’s conservative immigrant parents have always said the same thing: She may choose what to study, how to wear her hair, and what to be when she grows up—but they will choose her husband. Following their cultural tradition, they will plan an arranged marriage for her. And until then, dating—even friendship with a boy—is forbidden. When Naila breaks their rule by falling in love with Saif, her parents are livid. Convinced she has forgotten who she truly is, they travel to Pakistan to visit relatives and explore their roots. But Naila’s vacation turns into a nightmare when she learns that plans have changed—her parents have found her a husband and they want her to marry him, now! Despite her greatest efforts, Naila is aghast to find herself cut off from everything and everyone she once knew. Her only hope of escape is Saif . . . if he can find her before it’s too late. The Good, the Bad, and the Ugly: I haven't read many books that are as poignant and heart-breaking as Written in the Stars. Even as I reread it, my heart hurt. Naila's story is one rarely explored in fiction, let alone YA fiction, but I know it's inspired by reality, thanks to Aisha's author's note. The diversity and things I learned are part of what makes this one of my favorite books. We read to learn about different experiences, and that's what Written in the Stars is for me (I am as as white as they come, y'all). Naila's voice is strong, and I enjoyed what we saw of all of the different women in her life - Selma, Feiza, Saba, Nasim, and Naila's mother. They aren't all lovable characters, but they are realistic and strong women nonetheless. They all have convictions, and they stand by them. What we see of Saif is wonderful, too. He cares deeply for Naila. There are a few things that keep me from completely loving Written in the Stars. The narrative is a bit choppy. Time jumps are frequent, and I was fuzzy on how much time was passing. Also, there were a few statements that seemed to be following a thought process that was missing in the previous lines. The Verdict: Beautiful cover, important story within its pages. If you haven't read Written in the Stars yet, you need to. Will I be adding this book to my library? : I already have.